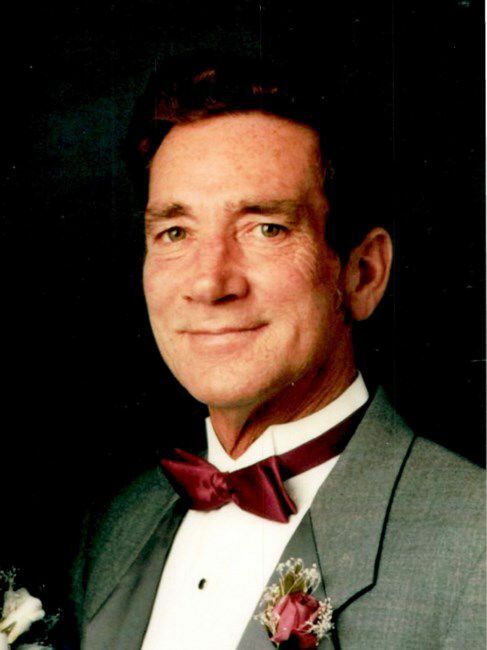 Harold Lee Rotramel Sr. of Wapella passed away 11:05 a.m. Aug. 13, 2018, at his home with his loving family by his side. He was born June 4, 1931, in Shirley, the son of Ernest and Ella Hazlet Rotramel. He married Katherine Courtney on April 18, 1952. She passed away on Oct. 22, 2010. Harold was a longtime truck driver for General Grocer and Martin Brower, retiring in 1990. He was a member of the Teamsters union and the Bloomington VFW. Harold enjoyed NASCAR racing, dirt racing, farming, and even baling hay. He loved his role as grandfather and great-grandfather, and was always willing to help anyone who needed it. He is survived by a son, Harold Rotramel Jr., Bloomington; three daughters, Debbie (Dave) Dodson, Bloomington; Brenda (Mark) Beard, Wapella; and Sherry (Jim) Campbell, Florida; five granddaughters, Courtney (Cortlin) Dunluvey; Stephaney Campbell; Tammy Foster; Chastidy Rotramel; and Melissa Dever; six grandsons, Jayson (LeAnn) Dodson; Tyson (Krissy) Dodson; Bryson (Leslie) Dodson; Dryson Dodson; Travis (Amanda) Beard; and Christopher Rotramel; and 20 great-grandchildren, including his youngest great-granddaughter, Amelia, who was the light of Harold's life, giving him countless moments of joy these past few months. In addition to his wife and parents, he was preceded in death by two sisters, a grandson, a great-granddaughter, a nephew, and a brother-in-law. Cremation rites have been accorded. A memorial service will be 6 p.m. Sunday at East Lawn Funeral Home, Bloomington, with Pastor Chuck Brannock officiating. Visitation will be one hour prior to services at the funeral home. Inurnment with military honors will be 11 a.m. Monday at East Lawn Memorial Gardens Mausoleum, Bloomington. Memorial contributions may be made to the American Cancer Society. Condolences may be shared with the family at eastlawn-bloomington.com.